Safeguard your purchase with a Service Plan for the GX420t. Zebra Service Plans ensure you get the highest level of performance throughout the life of your new Zebra printer. Choose either a service center plan, where the item is shipped to a repair depot, or our on-site plan, where a technician arrives in 24 to 48 hours with parts in hand. 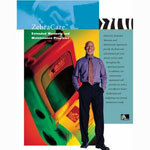 Service Contract - 3 year, 3-Year On-Site Service Plan for Zebra Printers. On-site repair within 48 hours. Includes 2 cleanings per year.